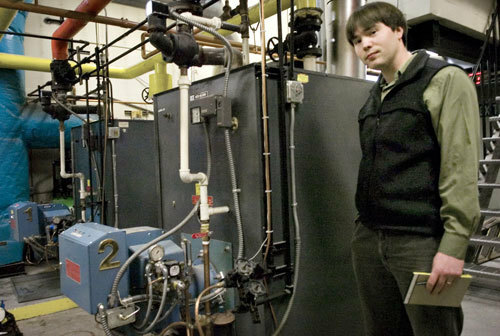 Sealaska corporate executives are banking on the sometimes-truth, “If you build it, they will come,” by making a commitment to biomass as an energy source. The company this month announced it will convert its Juneau headquarters from oil to a wood-fired boiler system. A stream of wood pellets will come from British Columbia until a regional provider can do it. Sealaska‘s four-story building is too small to support the distribution system alone, so additional commercial building operators will have to follow Sealaska’s example and convert to biomass heat for the economics to work out. Banking on others seeing the benefits is a risk, Sealaska Executive Vice President Rick Harris said. 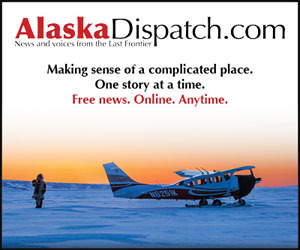 According to newsminer.com – Alaska state senator Albert Kookesh will challenge a fishing citation he received and seek a court opinion on whether a state wildlife officer has jurisdiction over subsistence fishermen on federal land. 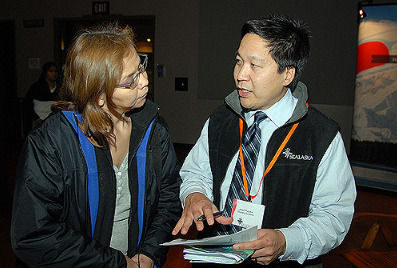 Mr. Kookesh is also the board chair of Sealaska, the Alaska native corporation for Southeast Alaska. “I want NARF (Native American Rights Fund) involved with this. I want to make sure the Native community is involved with this. I want to make sure AFN is involved,” he said. He has contacted Larry EchoHawk, head of the Bureau of Indian Affairs, and plans to speak to Kim Elton, the director of Alaska affairs for the Interior Department. “We’ll see who wants to get on the bandwagon,” he said. At an Aug. 12 hearing in Angoon, Kookesh and the three others pleaded not guilty to one count of exceeding the subsistence salmon limit. A trial is set for Oct. 5. 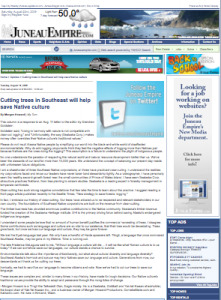 For the full story on newsminer.com, click here. Juneau Empire updates the story here as of October 11, 2009. Tate London was elected to the Sealaska Board of Directors in 2005. He serves on the Audit Committee, the Compensation Committee, the Elders’ Settlement Trust Board of Trustees and serves as a director for Sealaska Environmental Services, LLC. He is also an active Sealaska shareholder who has attended 15 of the last 17 Sealaska annual meetings prior to becoming a director, as well as many Celebrations over the years. Tate is an assistant United States attorney for the Western District of Washington. 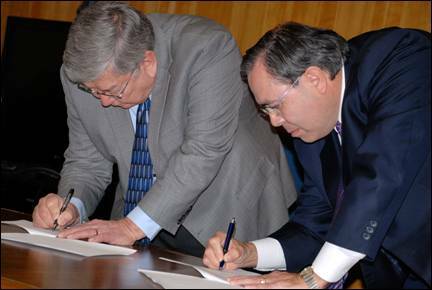 He also serves as the tribal liaison to the United States Attorney’s Office. He works with representatives from 26 tribes within his district on issues ranging from public safety to preserving the integrity of Indian gaming. Prior to joining the U.S. Attorney’s Office, Tate was a partner in the law firm Cairncross & Hempelmann in Seattle. He received his bachelor’s degree in political science from Stanford University, and his Juris Doctorate from Stanford Law School. Tate is Tlingit, Raven/Dog Salmon, originally from Ketchikan, AK, and is the son of Sealaska shareholder, Ernie Boyd. He lives in Bothell, WA, with his wife, Debi, and their four children, Alyssa, Lacey, Kellen and Ellee. Kingston Environmental Services is seeking a Controller/Finance Manager in Kansas City, MO. This position will serve as a senior member of the management team, to assure accurate periodic production and analysis of company financial statements, leads improvements in financial processes, conducts financial operations analysis, provides support to management in decision making processes, and recommends strategies and tactics while proactively looking for ways to assist operations in achieving goals and objectives. This position will also work closely with Kingston’s Contract Management team covering a wide range of government contracting issues including: Indirect cost forecasts, structuring and analyzing records for compliance with FAR, analyzing systems and procedures for adequacy and compliance, developing policies and procedures, indirect cost audits, and external and internal audits. Work involves multiple deadlines, changing priorities and supervisory responsibilities. – Supervising financial staff and participating in company special projects. – Duties may change from time to time at management’s discretion. – Bachelor of Science degree in Accounting or equivalent experience. – Minimum of 5 years related experience in Construction industry. – CPA or CMA desirable. – High level knowledge of GAAP, cost accounting, advanced accounting theory and principles. – Excellent interpersonal skills and attention to detail, good analytical and problem solving skills, good verbal and written communication skills, and good organizational skills. Sealaska has strengthened business with culture since 1972. We are a Native Corporation owned by over 20,000 tribal member shareholders and guided by our traditions of environmental stewardship and positively impacting our communities. We are legendary traders who are deeply connected to our lands and have successfully adapted to constantly changing environments and global economies. We bring together the wisdom and foresight of our combined heritage to create an enduring corporation that provides business opportunities, benefits and cultural strength for our people. 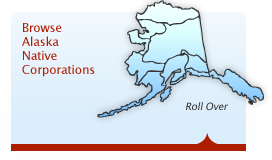 Today we are the largest private landowner and the largest for-profit private employer in Southeast Alaska.